Disclaimer: I was given products in this post for the purpose of review, I was not paid to write this review, all opinions are my own. A few years ago my boys got a "prize" in their Chick-Fil-A meal that changed they way we do dinner. It was family questions. Basically you ask a question and everyone answers. Some of them were silly, some of them were sweet, but all of them brought us closer together. After we asked all the questions from that set we start to make up our own. Each night one person was responsible to come up with 3 questions. Don't get me wrong there is always repeats, but I just love the fact it gets my family talking! This is something I wish all families would do, I hate when I go to a friends house and instead of talking to each other at dinner they all have out their phones and are texting. To me dinner is the perfect time to talk to your family, ask about their day and make just connect. 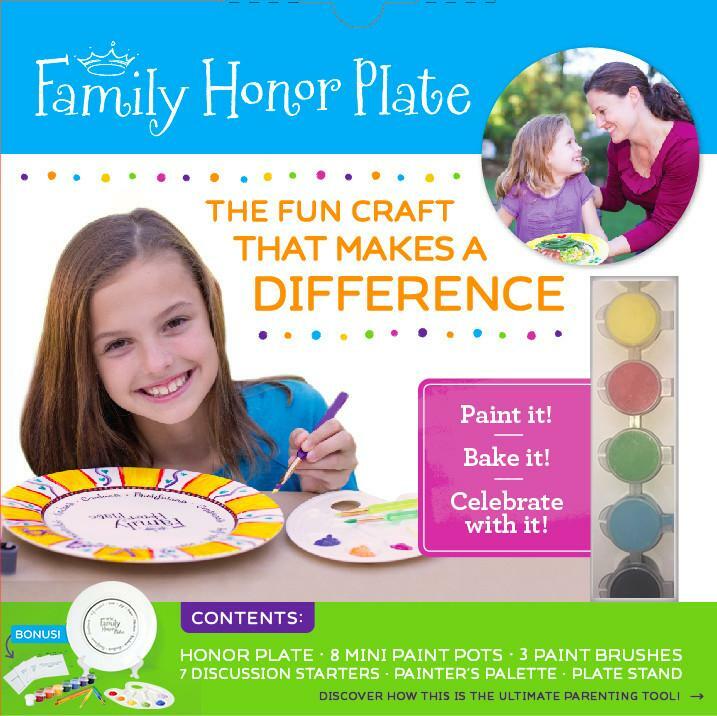 I think The Family Honor plate and the table Thyme Discussion cards are the perfect way to get families talking about! About the plate: Step #1 MOM AND DAD - BE THE EXAMPLE. BE THE ROLE-MODEL: The virtues are listed in the center of the plate for mom and dad to use as their anchor, their moral compass to guide them in how they need to show up for and to their children. This is how our children learn what character (Christ's Character) is, what it looks like, what it feels like. Our children are watching us and learning from us. Step #2 BE ON THE LOOKOUT: Look for the good choices and attitude your kids/spouse are making and showing throughout the day. Track it back to the virtues and character it shows. 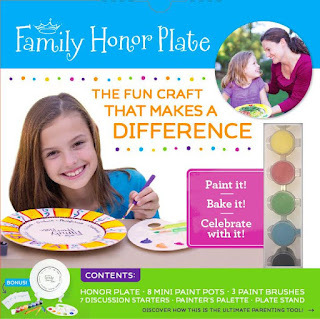 Step #3 CELEBRATE THEIR CHARACTER: Turn dinnertime into a celebration when you catch someone making good choices and showing good character and present their meal on the FAMILY HONOR PLATE. This is when you: · Talk about the choices they made and the virtues and character that it showed (Be specific). · Talk about how they made everyone involved feel and the impact they had on people and how that is POWERFUL and BEAUTIFUL. About the cards: Every question is followed up with "Why?" 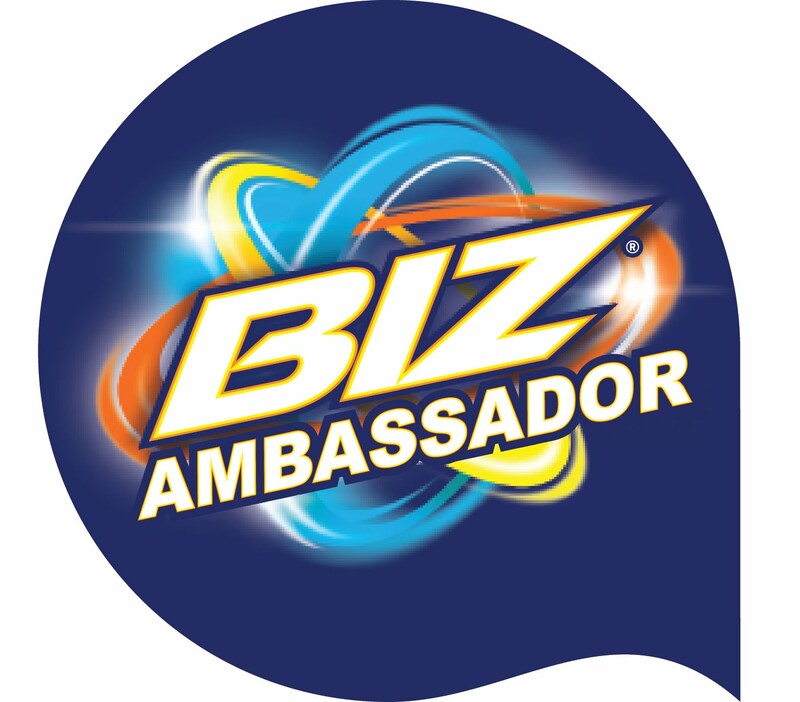 to take everyone's answers to a deeper more intimate level. That's where the magic is and the real conversation starts. So now when even a simple question such as..."What is your favorite dessert?" for example, rather than someone answering "Apple Pie" and then moving on to the next person, the whole family gets to walk down memory lane because it reminds them of Grandma Smith who always made apple pies with them when they came to visit." Her house always smelled of fresh baked pies and she gave the best hugs when we walked in the door." Communication is the key to connecting, building and maintaining healthy relationships. When we are raise our children to be confident in their ability to communicate with others and get their point across, situations are less stressful and they have better outcomes.